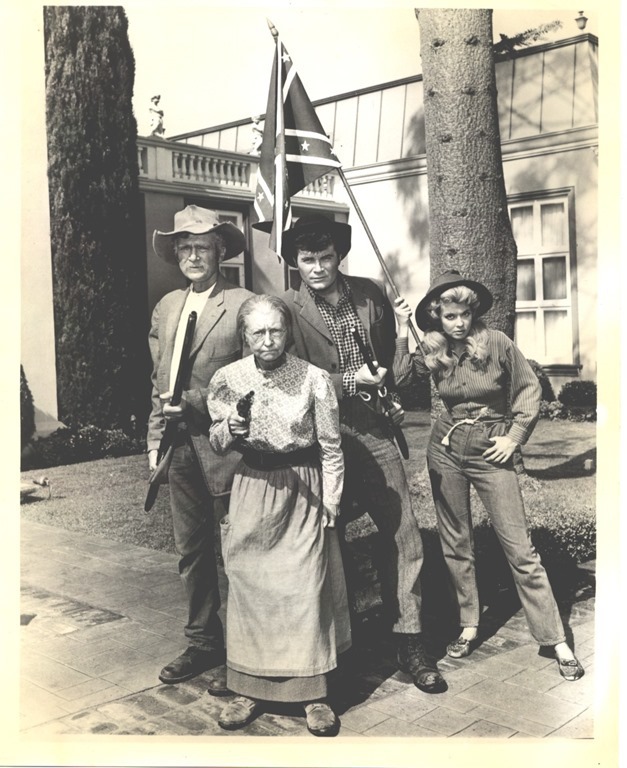 The most popular TV show of my youth was a strange yet derivative series called “The Beverly Hillbillies.” The basic device of this comedy was as old as Shakespeare’s rude mechanicals, and as common as 19th and 20th Century perennials like hillbilly plays, Ma and Pa Kettle films and even minstrel shows. They all work the same way, and the joke never seems to grow old: rural folks are stupid, prone to exaggerating for comic effect all errors in human logic. They are above all inexperienced, leading to all kinds of misunderstandings; and they are peculiar in their language: misuse of words or odd pronunciations are rife. Abstractly, this is the ore of comedy gold, but culturally these traits are being applied to an “other,” a group that can safely be made fools of to demonstrate the audience’s superior understanding. One trap of that kind of comedy: the dumber the writer thinks the audience is, the dumber the writer believes he must make the characters, until they lack all worth, delight and surprise. While one could worry about such authors violating political correctness, the worse danger to the authors’ career is for the audience to figure out that they are being played for rubes through a play about fools. I was young when “The Beverly Hillbillies” was going strong, and living in a very small town in a rural state, but I found this show funny. I never occurred to me that my own inexperience might be blinding me to the idea that I could be part of this bumpkin class, at least in some people’s eyes. My little town was progressive, proud of its school, and besides I didn’t think like those silly folks, I knew full well that richer folks’ houses could have a swimming pool in the back yard and that they were called just that, not See-Meant Ponds. But my youth and my small town were a course of inexperience. I was forever mispronouncing words and authors’ names because I had never heard them spoken—I had only seen them written on the page. I was, and yet wasn’t, those stock comic characters. Is there any value in small towns? I believe there is. I’ll give you one example before I move on: in small towns there is no surplus of conscripts, everyone needs to do their part. Slacking doesn’t mean someone else does it, it means it doesn’t get done, and there’s no escaping that knowledge. I’m afraid that in my old age and life in a big city, I’ve become just such a slacker. And there’s one other value to such a youth: going from a smaller, less varied place to a larger and more diverse one gives an eye a very sharp lens to look at things. I’m not sure movement the other way works as well. If one looks in the big end of the telescope, everything you point the small end at looks tiny and indistinct. It’s no accident that a very large group of writers follows that biographic path from town to city. All this leads to today’s piece, “The Lake Street Testament,” which is an urban story through and through. The path of a long build up like this to a short ending is another comic staple: the Shaggy Dog Story. Earlier here you’ve seen me write about the essentially comic dimensions of the human condition, particularly when talking about Leonard Cohen, Mose Allison, and Phil Dacey. This piece takes that thought into this religious season and puts it on Lake Street, which is a main commercial east/west street through the center of Minneapolis, as urban a road as exists anywhere. Lake Street in Minneapolis Minnesota. No palm trees, no movie stars. Nice description of a childhood similar to my own, reflections in a TV screen darkly. 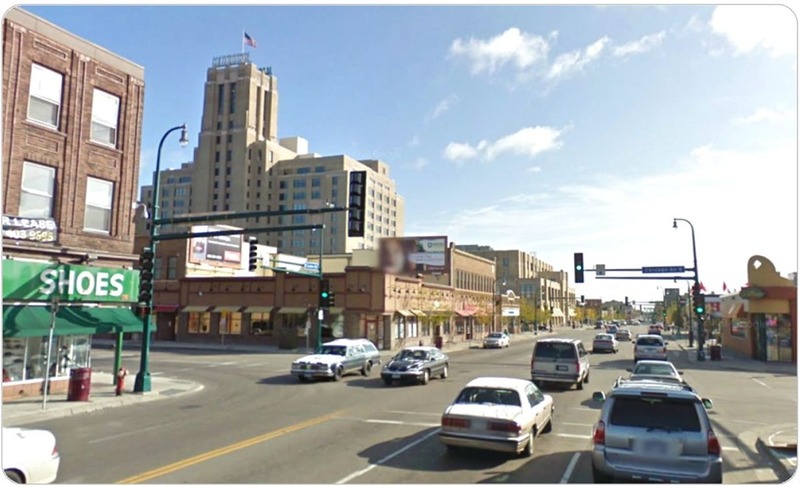 The big building in the background of your Lake Street picture, Midtown Global Market, used to be a major Sears Roebuck store. Tom Disch has a scene in The Businessman where a woman rides the Sears escalator literally to Heaven.